Hire fleet laser levels for hire. The laser level is automatic levelling horizontally, vertically and plumb beam making the setting up of the laser level simple. Laser levels make finding level points simple. 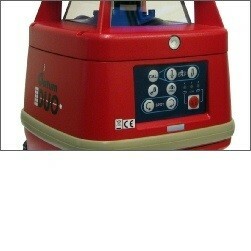 The laser level has a working range of 60m with laser only and 400m with the detector. Comes with IPX66 waterproof rating for use outdoors.